It’s not tapas – it’s Pedros, and that’s something which the team at Pedro’s live by. Located in Acle Bridge – Pedro’s offers breakfast, lunch and dinner with a twist. 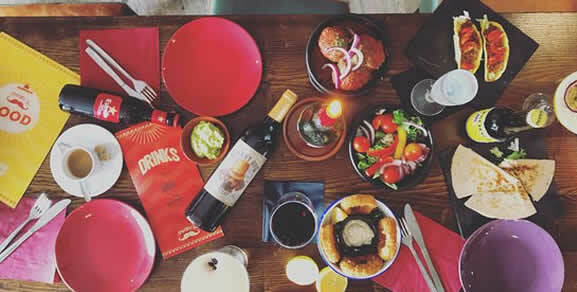 Pedro’s restaurant and bar is tapas – but done differently, with an emphasis on the theme of sharing. It’s sharing platters and the restaurant’s quirky restaurant theme leaves diner’s insisting on coming back for more. Now the team at Pedro’s have chosen to show their love of the environment by teaming up with Carbon Free Dining, The United Nations Environment backed restaurant initiative. By empowering their diners to plant a fruit tree with each bill in the developing world, Pedro’s and their diners are able to counterbalance the Carbon Impact and food waste of their meals and help end poverty.